Developing Good Aikido Teachers – Whose Responsibility Is It? It is over 40 years since I started on this Aiki path and I am still so inspired by my teachers and their ability to teach Aikdo with clarity, humor, enthusiasm, and mastery. How does one become a good teacher? A difficult question to answer because I think there are so many variables that come into play. Not only is there the training component but also one’s personality can be a major contributor when inspiring individuals to learn and be creative. How does a person learn to be enthusiastic, charismatic, and inspirational? I am not sure. I realize that I am fortunate to have had exceptional role models; Aikido teachers, who have taught me the meaning of clear communication and effective teaching techniques. Albert Einstein said “It is the supreme art of the teacher to awaken joy in creative expression and knowledge.” My teachers facilitate that joy and the ability to be creative. So how did they arrive at this “Shihan” or master teacher level? When I myself analyze what this journey for them must have entailed, I imagine “the school of trial and error” providing them lots of feedback. I think it is very important to try out teaching methods that enable you to learn from your failures and make note of the instructional techniques that are successful. More than thirty five years ago I took the same path of opening dojos in small towns where I was the only Aikido practitioner with lots of enthusiasm but far too little training and experience. Through this method I learned to focus, to observe, and then bring back to my dojo whatever treasures I had learned at a seminar with my teacher. I tried applying what I had learned in a weekend seminar to the functionality, efficiency and overall atmosphere of my trial dojos. As hard as it may be to take failures with a grain of salt, I knew that to become the type of teacher and mentor that I so strongly admired in my own examples, it was on my shoulders to make sense of their movement, their teaching of Aiki principles and share this information with my students. I became diligent about reassessing the effectiveness of my Aikido techniques and my ability to share the underlying principles in a meaningful way. To become an Aikido teacher requires many years of dedication and commitment to the Art of Peace. All of us step on the mat for a variety of reasons, but very few have a personal goal become an Aikido teacher when beginning their pursuit of learning Aikido. When kindergarten or 1st grade students are in a group circle and asked the classic question “What do you want to be when you grow up?” I bet their resounding response is NOT “an Aikido teacher! Most students seem to start Aikido because they have a friend who it tried it or is currently training or they are introduced to Aikido through social media. Their interest may also be peaked because they read an article that mentioned Aikido and the philosophy of nonviolent resolution to conflict. For whatever reason, you walk on the mat and find that the Art is difficult and requires lots of repetition to become proficient and skilled. And how is possible to remember the Japanese terms and then translate the terms into actual techniques? To become good one must train, and then train, and then train again. Most of us have heard the magic number of 10,000 repetitions to become skillful at a technique. That is a lot of repetition. But no different than the intense training a person goes through who wants be good at some specific skill, be it playing a musical instrument, woodworking, singing, dancing to name just a few. Not only must you execute the techniques but also apply the principles of maintaining centeredness, being fluid, graceful, and relaxed while someone is trying to forcefully grab, strike, or punch you. Add teaching Aikido in front of a class to this equation and it seems like such an unattainable goal. As you continue training and successfully go up in rank, you begin to gain confidence and understand the basic movements. You move into the next stage and start to pay attention to how your teacher communicates and structures a class. The warm-ups routines and specific Aikido exercises become well integrated in your muscle memory. You can function on auto-pilot and observe the small nuances performed by your fellow senior dojo members. Perhaps the techniques that are introduced in class have have a common thread such as the same footwork, a geometric shape, or a more expansive concept such as awareness of the physical space as you perform a technique. You begin to see your teacher as a mentor and absorb the metaphors, the explanations, and recognize the commonalities between techniques. Perhaps at brown belt level you have opportunity to assist in a class. Your mentor could be a senior student who has a few more years in Aikido than you. In smaller Dojo’s you may get the opportunity to teach because you are one of the higher ranking students. You are assigned a class and it is up to you to formulate a teaching plan and share Aikido with enthusiasm, confidence, and proficiency. A very tall order for most of us to achieve. Overtime you may learn through trial and error what works. Having your own class may force you to be more attentive to teaching styles and the variety of ways classes are organized based on the skills of the students. A very frustrating path and you may experience a higher than average turnover rate because of your lack of organizational and teaching skills. And who is to blame? Did you receive the guidance and support necessary to teach students with a range of skills and abilities? Did you receive feedback regarding your class and the effectiveness of your teaching, if you presented too much or too little information? Are you confusing students because you do not have the communication skills to break down a technique and share with the students both the role of uke and nage? I feel we have an obligation as senior teachers or dojo-cho to assist our experienced higher ranking students in learning to be effective and competent teachers. Having a certain rank does not guarantee that a student can teach. I think back to the line in Man and Superman, a play by George Bernard Shaw: “Those who can, do. ; those who can’t, teach. Do we really want this to happen? Shouldn’t we aspire to help our students become Aikidoists who can effectively perform Aikido techniques and most importantly have the ability to teach this skill to others? When a student obtain a 4th degree black belt (yondan), this is considered a teacher’s rank. The assumption is that a 4th Dan should have the skill set to teach in an effective manner and capture the attention of the students. How is this true if this person never received any type of instruction, mentoring, or perhaps never had the opportunity to teach classes and learn by trial and error? 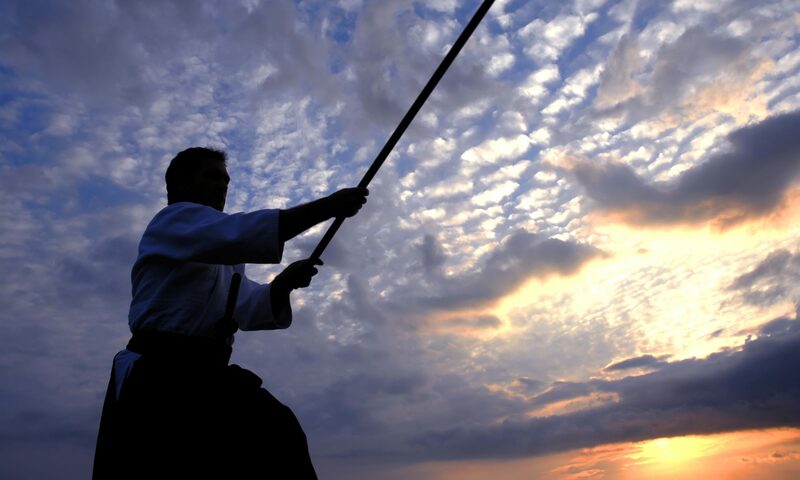 There are many Aikidoist, 4th dan and above, who do not run dojos for a variety of reasons. Running a dojo is a big commitment and realizing this, they are comfortable where they currently train. Depending on the size and the amount of high ranking black belts, some students begin their teaching career with no training what so ever. Moving to a new location where Aikido is non existent may push them to start a small group at YMCA or a community center. Your teacher may want to offer more classes and ask you to teach a class. Whatever the case maybe, who do you turn to for help? Colleges and Universities provide teacher training programs. Generally it takes 1-2 years of intensive graduate work to successfully complete an accredited teacher training. So how are Aikido teachers trained and mentored? Should the chief instructor (dojo-cho) of an Aikido dojo be the person responsible for the development of capable instructors in the dojo? And is he/she a good teacher and capable of passing on this skill? I believe it is imperative for dojo-cho to train their students to become good teachers. The training should start at least 2nd kyu (brown belt level). A requirement for this rank and subsequent ranks is that he/she assists in specific classes. The teacher assigned to the class will act as a mentor and provide clear guidelines on how to assist in the class. A meeting after class can provide valuable feedback on how to present material and ways to help students learn in a non threatening way. What better place to learn to teaching skills than in the community where you have trust and a positive and supportive environment. On a more global level, weekend seminars or retreats of a longer duration could provide an opportunity for a mini mentorship program or a continuing education component. Continuing education could include classes that address organization, focus on children or adults, discuss the qualities that make for a good teacher and promote “best practice” when teaching Aikido continuing education. These sessions could provide an opportunity for teachers and student teachers share ideas and effective teaching methods when teaching Aikido. In addition, an organized teaching event could provide a students sandan (3rd degree black belt) and above to be paired with a featured teacher and share a class. The class may be structured so that both individuals teach techniques and/or Aikido concepts. Decisions can be made prior to the class regarding content and teaching strategies. Perhaps an hour class would be shared equally in two 30 minute sections. Or the instruction could be passed back and forth so one person teaches a technique and then the other person builds on that technique in some way. Perhaps 10 minute intervals would be the timeframe to share and expand an idea. Aikido needs enthusiastic, talented, and creative teachers if it is going to flourish in years to come. We need to develop effective teacher training programs and not assume that our students will learn to be good teachers through our example. There are so many wonderful and talented Aikido teachers who are willing to share their breath of knowledge to help train students to be effective. They also are a valuable resource to those of us who teach and seek an avenue to refine our skills and reach our best level of potential as an Aikido teacher.